Train companies are failing to deal with passenger complaints effectively or even politely, new Which? analysis reveals. We looked at Office of Rail and Road (ORR) data on satisfaction with complaint-handling from April 2017 to March 2018*, a period in which there were more than 500,000 complaints about rail services. What’s really got our goat is that fewer than half of rail passengers were satisfied with how their complaints were dealt with by train companies. Some train companies are doing much worse than others, too. 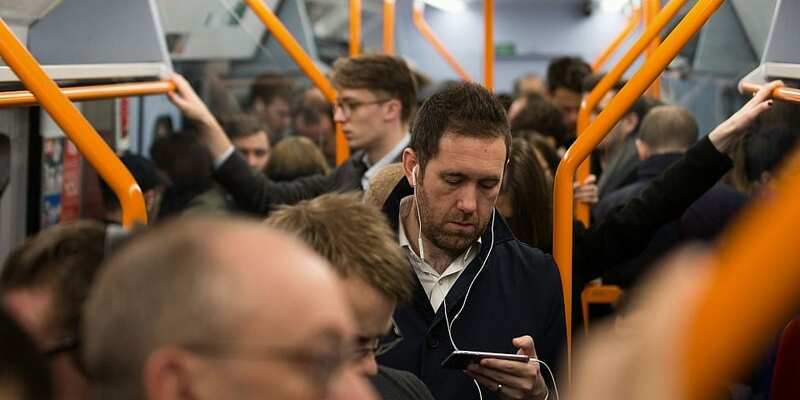 One in five, or fewer, passengers with three operators – Northern, Govia Thameslink and Great Western Railway – were satisfied with the outcome and/or handling of their complaint. 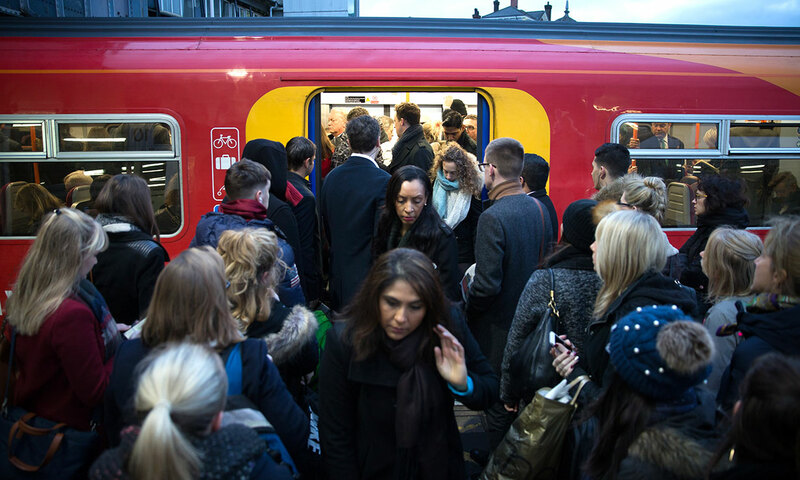 Demand a better rail service – if you’re as tired as we are of failing rail, sign our petition to help us force change. Our analysis looked at how satisfied passengers who made a complaint to a train company were with all aspects of the process – from the ease of making a complaint to how helpful, knowledgeable and communicative the company was when dealing with an issue. 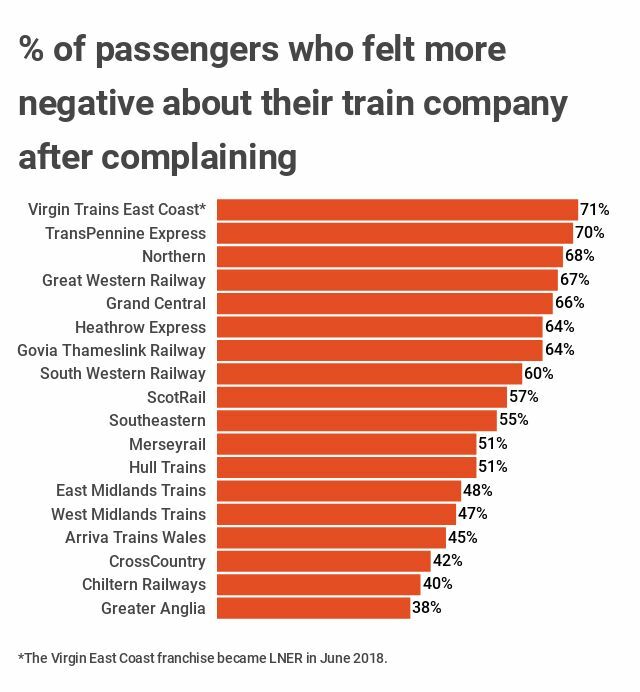 In addition, no more than half of passengers thought that their complaint had even been taken seriously, across every train operating company in the survey. This drops to around a fifth for Govia Thameslink (21%) and Northern (20%) – especially concerning, given that the data relates to the period immediately before this year’s timetable chaos, which resulted in a deluge of passenger complaints for both companies. Poor satisfaction with complaints is unlikely to improve the low levels of trust in rail. According to the latest data on the Which? Consumer Insight Tracker, just 20% of consumers trust the train travel sector – this makes it the second-least trusted industry, beaten only by car dealers. 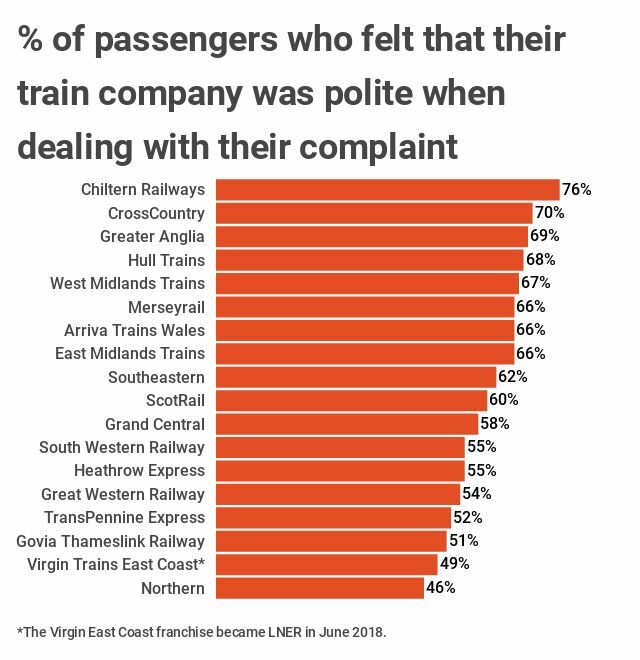 Northern had the lowest satisfaction rate for politeness out of all train companies in the survey; in fact, it came last or in the bottom three of the 18 train companies in every aspect of the complaints process that passengers were asked about. One Northern commuter spoke of her experience: ‘I was blocked on Twitter by my train company for complaining when my train was cancelled, very delayed or too full to get on. More than three quarters of Chiltern Railways passengers felt that the company was polite in dealing with their issues. Together with CrossCountry, Chiltern scored the highest most consistently across the board. Our findings really cut to the core of our calls for a new rail ombudsman, which should be coming in by the end of 2018, having first been announced in 2017. This would provide an official body to escalate complaints to, in the event that you’re unhappy with the way a company has dealt with an issue or treated you. It should also help ensure train companies listen to their passengers and resolve problems in the first instance. ‘Clearly there are serious underlying problems in the current rail complaints system, which need to be addressed’, says Which? managing director of public markets Alex Hayman. ‘Train companies have to step up and start delivering good customer service when things go wrong – informing passengers about their rights and dealing properly with any complaints that arise. Complained about your train company? Join the conversation. If you’ve experienced train delays or cancellations, check to see whether you can claim compensation for your journey. Most train companies are signed up to the Delay Repay scheme, which offers compensation based on a proportion of the price of your ticket and the length of your delay. Compensation starts from 15 or 30 minutes (depending on the train company you travel with). The rules aren’t always clear as to when you can make a claim, and differ between companies. As a general rule of thumb, train companies won’t pay out compensation or refunds if delays, cancellations or poor service happen for reasons outside their control, such as strikes or exceptionally severe weather conditions. Can I claim compensation for train delays and cancellations? Can I claim back additional costs caused by a train delay, cancellation or poor service? This survey data shows passenger satisfaction with train operators’ complaints-handling. After a passenger makes a complaint to a train operator, they are invited to participate in a follow-up survey by an independent research company, commissioned by ORR, about their experience and how the complaint was handled. The survey asks questions relating to the complaints process and resulting outcome. The complainant is asked to rank their satisfaction with each on a five-point scale or, in some instances, to provide a qualitative response via an open text box.